CLOSEOUTS. 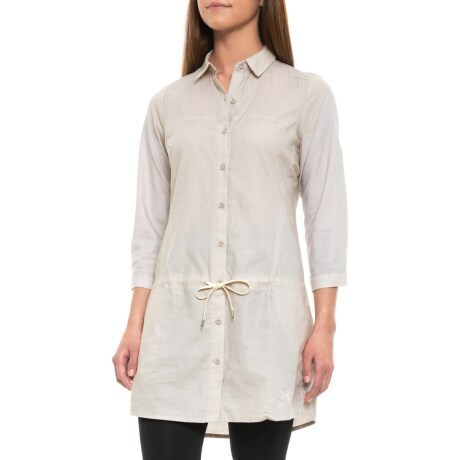 A perfect partner for leggings or jeans, this Arcand#39;teryx Blanchard tunic shirt is crafted from a lightweight cotton blend with a dropped drawstring waist for a flattering silhouette. Available Colors: BONE. Sizes: M.